Rice farmers are seizing on their chance to boost sales for their high-quality product amid a fall in domestic demand and expected liberalization of trade rules. Kazuya Terasawa, 66, plans to export about 10 percent of this year’s output from his paddies in Niigata. The city on the Sea of Japan sits in one of the nation’s major rice growing areas. “More cheap foreign rice will surely enter the domestic market, especially for use in restaurants and in meals to go, blending with domestic rice,” Terasawa said. The forecast is behind his decision to shift toward more exports, the decision made more necessary with the incoming 11-member Pacific trade pact taking effect in December and due to the upcoming bilateral trade talks with the United States. Terasawa’s rice is being exported by Niigata Nosho, a group firm under farm equipment maker Kubota Corp.
Niigata Nosho shipped 1,896 tons of rice mainly to Hong Kong, Singapore and Mongolia in 2017, accounting for 16 percent of Japan’s entire rice export volume. Becoming a leading exporter, Niigata Nosho started exporting rice in 2011 as a way to help farmers who use its equipment. Export volumes quickly expanded from the first year’s 36 tons as the reputation of Japanese rice’s quality spread overseas. “We expect to export some 2,500 tons this year,” said Batsukh Oyun, a Niigata Nosho section chief in charge of exports. According to Oyun, a Mongolian citizen who joined the company in 2013 after studying at Niigata University Graduate School, Niigata Nosho exports unmilled rice to be freshly polished into white rice at its destination. Less fresh rice is often found in rival Chinese exports as they are shipped days or months after being polished in China. “Japanese rice has become known for being fresh and delicious,” Oyun said. She expects the company to receive orders from abroad for an annual total of 5,000 tons in the near future. Domestic demand for the traditional staple has declined year after year, down to 7.4 million tons in the year from July 2017 through last June, from 9.1 million tons 20 years earlier, according to government data. However, profits on exported rice tend to be lower than when it is sold domestically, so Japanese rice farmers are not always in favor of sending their crop overseas. Exports of Japanese rice, including sake and other processed products, stood at some 11,800 tons in 2017, far less than the government’s target of 100,000 tons a year. 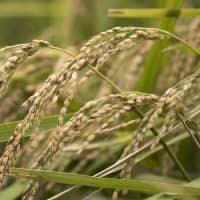 The government data show that Japanese rice is two or three times higher in price than that grown in China and the United States. Including export costs, Japanese rice increases in price in foreign markets, becoming a luxury commodity for the wealthy. To boost global consumption of Japanese rice, overseas prices need to be kept in check so that it becomes accessible to middle-class families. Given the situation, Terasawa grows varieties with high yields and cheaper unit prices for export. Profits will potentially increase if he cultivates more Koshihikari-type rice, a high-priced, big-name variety from Niigata Prefecture. But Terasawa will continue in his quest to expand his exports, even if the effort does not always reap rewards. “Japanese rice is expected to have a tough road ahead. I’ll suffer more if I hold back from doing it now,” he said. 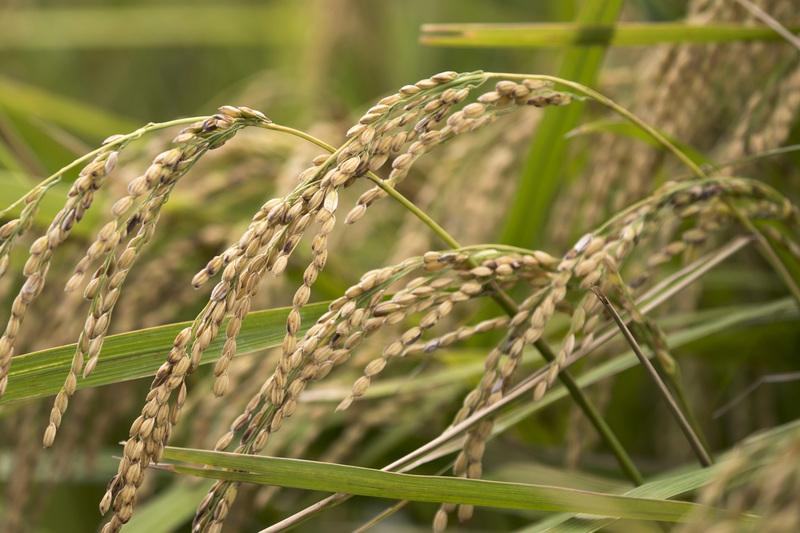 Japanese rice policy reached a turning point when the government this year ended its half-century strategy of providing subsidies to farmers who reduce rice production to ensure price stability, despite falling demand. Rice farmers also face difficult choices with the increased international competition that will come with the Trans-Pacific Partnership, as people in Japan will have access to cheaper imported products.